The Other Half has put our tent up in the garden for the girls to play in during the summer, so I decided they needed cushions! I bought 6 cushions pads from Amazon for £6.40 and started to look for patterns. I did one square and then measured it and by a stroke of luck it 1/9 of the size of the cushion so 9 squares would fit perfectly. 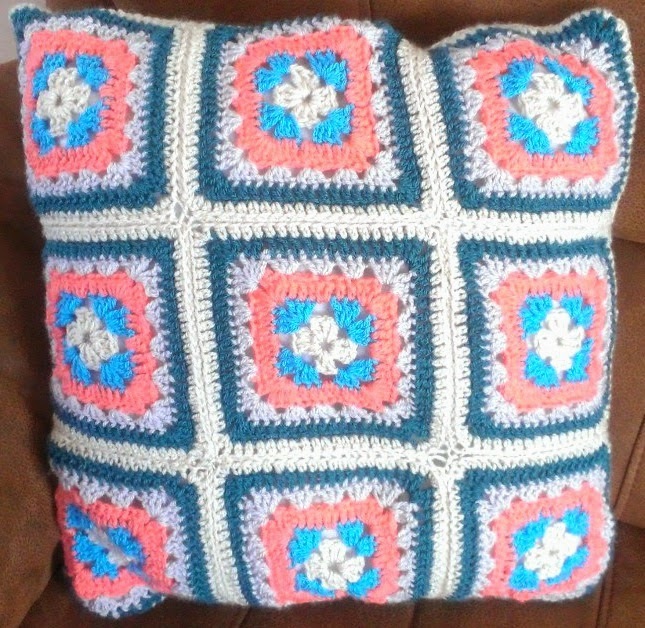 It was my first attempt at sewing granny squares together and to be honest its not perfect. A few corner connections are a bit dodgy but its going to be thrown around the garden so I am not too worried. I wanted a different look on the other side so I thought it was a great chance to try a ripple for the first time. 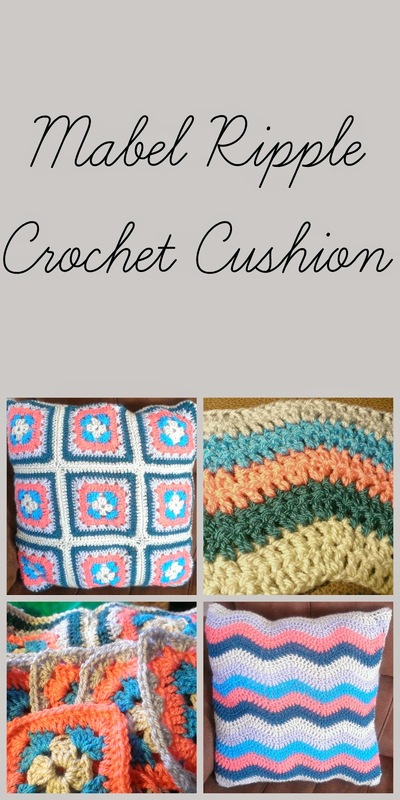 I used Lucy at Attic 24 Neat Ripple pattern and it was so easy to follow and was really nice to crochet. 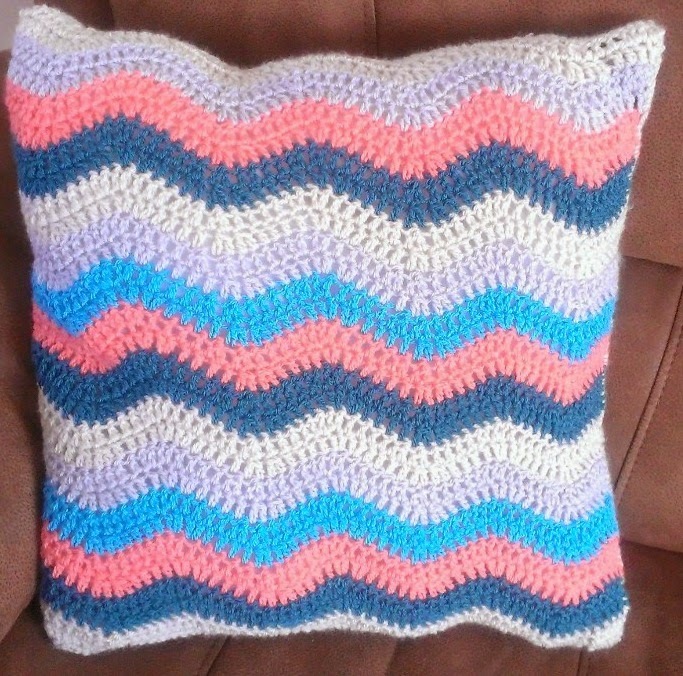 To fit my cushion which is 45 X 45 cm my starting chain was 59 stitches and I crotched 30 rows (including the starting row). It fitted together just right! I stitched 3 sides together with the wrong sides facing each other and the turned it the right way around, put the cushion in and then stitched the final side. I rather like it and I have already had an order from my sister for a ripple one!